Sluggish liver is a condition when the liver becomes incapable of performing its functions properly, due to factors such as poor dietary habits, alcoholism, exposure to environmental toxins and unhealthy lifestyle. The liver is the organ which is responsible for detoxifying the body. When it performs normally, the whole body functions better. The human liver filters drugs, nutrients and toxins from the body, produces bile to help digest fats, and removes toxic bilirubin from the blood. When the liver fails to remove impurities from the system, severe metabolic problems may develop. Some common symptoms of sluggish liver are unexplained fatigue, headaches, dull skin, allergies, high cholesterol, high blood sugar, poor digestion and loss of appetite. Women may experience heavy or irregular periods, hot flashes, ovarian cysts or menopausal problems on account of hormonal imbalance caused by liver malfunction. Other symptoms of a liver functioning at less than optimum efficiency are a weak appetite, excessive flatulence, stomach pain, and diarrhea. Additionally, obesity, diabetes or elevated triglyceride levels can also increase the liver's workload and cause weakening of liver cells. Viral infections such as hepatitis, hyperthyroidism and overuse of certain medications may also cause the liver to become sluggish. Careful food choices can often make it easier for the liver to do its job properly. 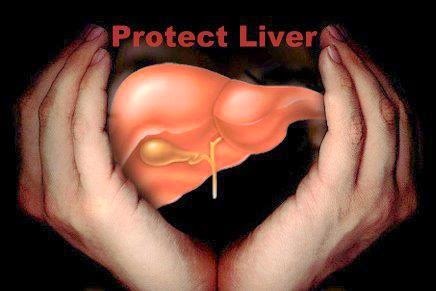 Home remedies, foods and alternative treatments keep your liver happy and keep your body healthy. After straining 1 kg Pomegranates (Anar) juice add 250 grams Sugar Candy (Misri) powder and 12 gm Fennel (Sounf) powder fill the mixture in clean and dry air tight glass bottles each bottle should be empty 1/3 and let them stand for 1 week in sunlight and keep stirring them daily and take it 2-3 tbs twice a day. This syrup is very beneficial for enhancing the appetite and also useful for liver and heart. It will also regain your natural pink complexion in a few days. Blend well 1 kg Jambul pulp, 10 gm Rock Salt and 1 ½ tsp Black Salt and refrigerate when you need mix well 1 pinch of Roasted Caraway seeds (Seyah Zeera) powder, Sugar to taste, 2-3 ice cubes and 1 tbs of this mixture in a glass / 8 oz 250 ml of water and drink it twice a day. This syrup is very beneficial for enhancing the appetite and also useful for liver and heart. This will help to get a fairer and pink complexion naturally. Mix /Shake 250 grams fresh Mango pulp, fresh milk 2 ounces, 1 teaspoon Ginger extract juice and Sugar Candy to taste. Prepare and have it daily as said. This is a highly beneficial and trial treatise to boost liver function. Boil each of 6 gm Fennel, Mint and Rose petals in 180 ml of water, strain and drinks twice daily. It is the most effective and natural way to improve liver function without any side effects. Put one 12 gm of Carom seeds (Ajwan) in 120 ml. water and keep in shade at day time and in the dew drops at night time. Next day filter and mix well 1 tsp of Nigella seeds (kalonji) oil. Take once a day. This is a successful natural treatment for sluggish liver. Soak 25 gm Henna leaves (Mehandi) in 360 ml water overnight. In the morning after filtering add 14 Nigella seeds, one teaspoon of honey and1tsp of Nigella seeds (kalonji) oil. Use this mixture once in a day. This is a highly beneficial and trial treatment to strengthen weak liver. Make a fine powder each of 20 gm Cinnamon, Dried Ginger, Verlaine and mix with 60 gm Sugar candy powder. Take 6 gm twice daily. It is a most effective & magical remedy to cure completely. This natural remedy is highly effective for stimulating liver function. Make a fine powder each of 20 gm Chinese Cassia Cinnamon/ Saigon Cinnamon (Taj) Sweet Cyperus (Nagar Mutha), Green Cardamom and mix with 60 gm Sugar candy powder. Take 6 gm twice daily. This natural remedy is highly effective to strengthen weak liver. Mix well 200 grams of pure honey and ½ teaspoon of Nigella seeds (Kalonji) oil and drinks this mixture half in the morning before breakfast and half in the evening. Use this process for one month. Avoid Tamarind items. It will be quite beneficial to strengthen weak liver. Soak 25 gm powdered Triphala; “Triphala” consists of a powder made from three dried berries― Emblica goose berry (Amla), Chebulic Myrobalan (Hareer), Beleric Myrobalan (Bahera) in 60 ml vinegar for 24 hours and dry. Take 3 gm along with water in the morning. This natural remedy is highly effective for treating sluggish liver. Dissolve 60 gm Green vitriol (Heera kasees) in1.25 litres Pomegranate or Lemon juice and keep it in a glass bottle. Mix 10 drops in 1/2 cup of water and drinks twice daily. It is a magical and trial treatment to boost liver function. Make a fine powder each of 12 gm Crystallized salt petre (Kalmi Shora), Aluminum chloride (Noshdar) and Indian Rhubarb (Revand Khatai) roots in same quantity. Take 2 gm along with water after each meal for 5 days. This is a highly beneficial and trial prescription to improve liver function. Boil 50 gm Gourd pulp, 20 gm Tamarind pulp and 30 sugar in 1 litre water until reduced by 250 ml. strain and let it cool take for one week continually. This effective natural remedy will offer a relief from sluggish liver quickly. Put in a glass jar 1 kg Jambul pulp, 250 gm Honey and 20 gm green Cardamoms to preserve for one month. Now sieve through muslin piece and take 20 gm along with fresh water after anyone meal. This natural remedy works very quickly in the treatment of sluggish liver. Apply eatable Lime paste on peeled Banana, expose to dew fall at night and consume it in the morning on empty stomach. This is a 99% trial and natural treatment to improve liver function. Add a little salt and some roasted cumin seeds to a glass of buttermilk. Have it early in the morning. This keeps the liver healthy and protects it from disorders. Soak some Dates in water for 6 hours drinks only water. This is another instant and effective natural remedy to improve liver function. Extract juice from raw papaya 5-7 drops and mix Honey or Sugar candy to taste and have it. It is highly beneficial in dealing with sluggish liver. Consuming raw Banana pickle is highly beneficial and it provides immediate relief. Make a fine powder each of same in quantity roasted Cumin, Coriander, Fenugreek and Curry leaves and consume along with cooked rice. Extract juices from Black night shade and Chicory roots mix same portion of Honey and have it. This natural remedy is also very useful for stimulating liver function. For better liver and spleen functioning, add each of one pinch cinnamon and cardamom powder to False Daisy (Bhringaraj /Bhingra) juice, and take one teaspoonful twice a day. A mixture of carrot and spinach juice is also very beneficial for liver problems. Mix half glass of spinach juice and half glass of carrot juice. If you want to improve the health of your liver, there are several home treatments you can do. The juice of two raw oranges must be taken once a day for up to a week. Extract the juice of about 10 papaya seeds. Mix it with a teaspoonful of lime juice. Take every day for thirty days to treat hardening of the liver. Black pepper has been shown to lessen the destructive effects of various toxins on the liver. It also has the ability to defend the liver from the loss of antioxidants native to the liver, which act to protect it. Crush 7-9 Black peppercorns with 5-10 ml False Daisy/Trailing eclipta juice and mix with one cup of curds for breakfast all week. After consuming it you will get relief from sluggish liver quickly.